Menus are an easy way to lead your readers to the content sections and pages they want. Menus are built to facilitate the navigation within the page/site. We added the essential features needed to help users navigate within your webpages/website. Go to Menus, in the customizer. By default, there is a main menu set up. For setting up a new menu, click on Create New Menu. Note that One Page Express can display menus in one location. Give the menu a name of your choice. This name is used for a simpler administration of your menus. Click on Add Items, to add new items in the menu. Simply drag and drop the respective items, to change their order in the menu. The menu can appear in one location – Primary Menu. 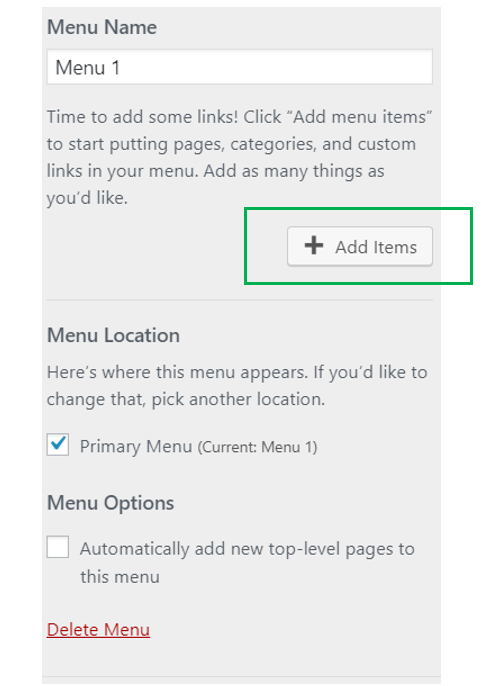 Automatically add new top-level pages to this menu (check the checkbox to activate this setting). Simply click on Delete Menu. Click on Create New Menu -> Set the location to Primary Menu -> Give a name to the Menu (*required to going Next) -> click Next. To begin adding items, click on Add Items. 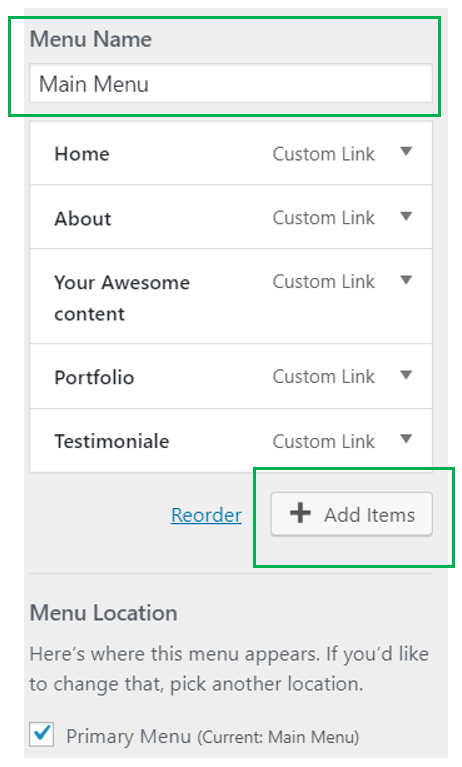 Custom links – here you can add a link towards a certain category, page, site. 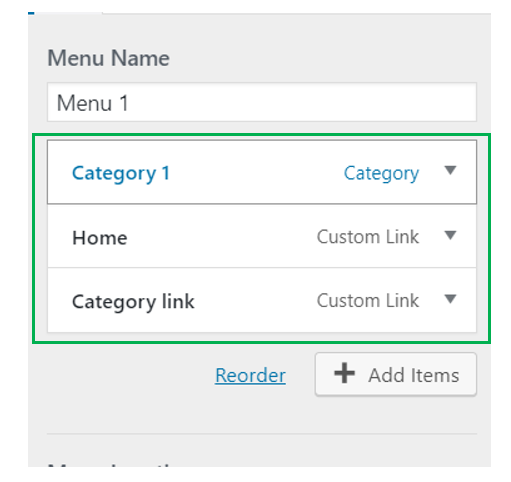 Change Navigation Label – used for changing the items names in the menu.